Welcome back everyone from Spring Break!!! How was your break? We hope it was awesome!!! Some Bears had the opportunity to travel and serve the community and they wrote a blog for each location! If you click on any of the above links, you can read the Blogs of students that went on these trips, some even included video blogs! Like this video from Marshal Jones providing some insight about the service project to New Orleans trip! If there seems to be some Video Play Issues just click Here to watch the video on YouTube. For More Information be sure to check out the Center for Leadership and Volunteerism Facebook Page and the Center for Leadership and Volunteerism Page on the main Missouri State Website to find out about more opportunities to get involved with the community. 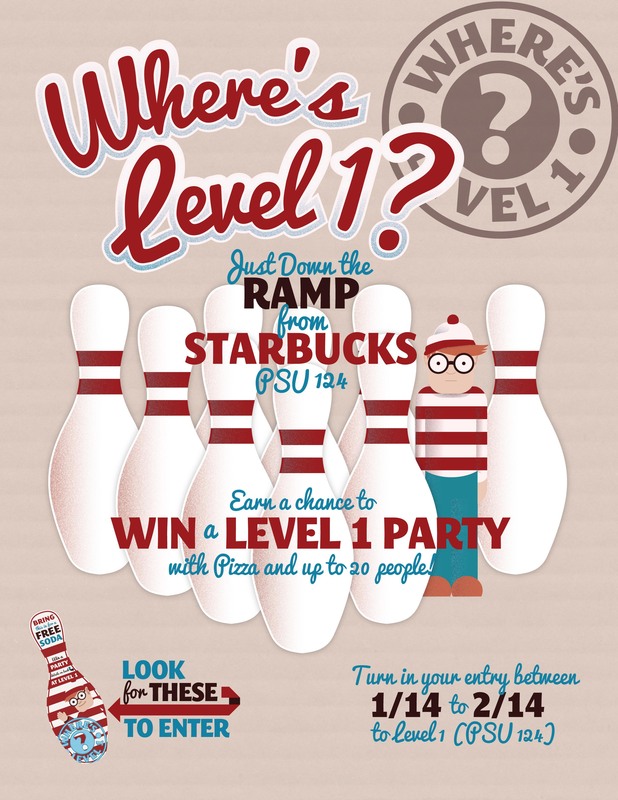 PSU Update: Where’s Level 1 Game Center??? What’re you waiting for?!?!? Get out there and find those pins!!! Here’s a preview of Fight Club showing in the Plaster Student Union Theater at 9pm on Wednesday, January 16, 2013.